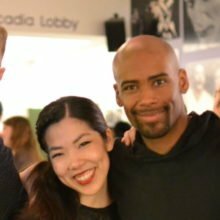 In the 2015-2016 Season, with support from the Wyncote Foundation, BalletX launched the Choreographic Fellowship program, an opportunity for emerging artists to expand their experience and further develop their unique voices under the mentorship and guidance of established choreographers. 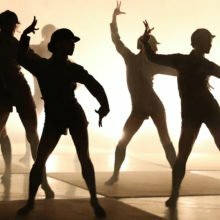 Each season, BalletX Artistic leaders, and a distinguished panel of dance experts will select one promising choreographer to create a world premiere work on the BalletX company. Read more below about 2019 fellow Katarzyna Skarpetowska and mentor Nicolo Fonte below. Choreographic Fellow Katarzyna Skarpetowska’s world premiere work will debut at Spring Series 2019 as part of the 2018-19 Season, alongside a premiere by mentor Nicolo Fonte. Katarzyna Skarpetowska, 2019’s Choreographic Fellow, started dancing at age 13 in her native city of Warsaw, Poland. The Juilliard School graduate enjoyed an extensive performance career, then transitioned into choreography as she worked as a repetiteur and assistant choreographer to Lar Lubovitch, David Parsons, and Robert Battle. Most recently, she worked as an assistant choreographer to Lar Lubovitch in the making of his latest full-length ballet The Bronze Idol on the Mikhailovsky Theater’s ballet company in Saint Petersburg, Russia in 2016. Her own choreography has been performed by Richmond Ballet, Alvin Ailey American Dance Theater II, Lar Lubovitch Dance Company, Parsons Dance, Buglisi Dance Theater, Hubbard Street 2, The Juilliard School, and many more. 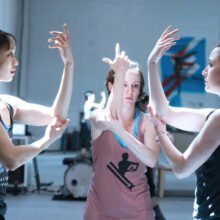 In recognition for her choreographic efforts, she was named one of Dance Magazine’s “25 to Watch” in 2016 and was nominated for a NY Dance and Performance Award, The Bessie, in the emerging choreographer category in 2017. Katarzyna is known for her sweeping, curvaceous, eloquent movement, and her work has been described as “weightless and mesmerizing” (Style Weekly), “visual poetry” (Oberon’s Grove), and “a breathe of fresh air” (The Dance Enthusiast). Learn more at www.skarpetowska.com. 2019 Choreographic Mentor Nicolo Fonte is known for his daring and original approach to dance. Since 2000, he has created works for such prestigious companies as Dutch National Ballet, Pacific Northwest Ballet, Royal Ballet of Flanders, Oregon Ballet Theatre, Perm Tchaikovsky Ballet, and Aspen Santa Fe Ballet, among many others. He has created two full-length ballets on BalletX, 2013's Beautiful Decay, praised by The Dance Journal as "an evening of explosive, athletic dance," and 2015's Beasts, hailed by The Philadelphia Inquirer as "wonderful, wonderful - and yet again - wonderful." Fonte’s considerable breadth of work and experience makes him an ideal mentor, able to counsel and guide. “I look forward to being able to exchange ideas with the Choreographic Fellow and work cooperatively to realize their vision,” says Fonte. “There are always going to be challenges to working on a new piece with a new company. I am there to help them overcome those stumbling blocks and turn them into learning experiences to move forward creatively,” he states. 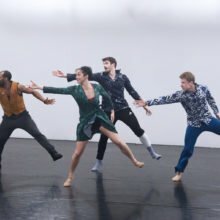 The Choreographic Fellowship is generously funded by the Wyncote Foundation.